Legionnaires Disease in Dubai - Is it Safe to Visit the UAE? You are here: Home / Knowledge / International / Legionnaires Disease in Dubai – Is it Safe to Visit? Legionnaires Disease Concerns for Dubai – Is it Safe to Visit the UAE? UK citizens have recently been asking if it’s safe to visit Dubai, UAE following a number of cases of Legionnaires’ disease there. By early April this year, the European Centre for Disease Prevention and Control (ECDC) had received information pertaining to 50 cases of Legionnaires’ disease connected with people who had recently travelled to Dubai. Almost 50% of these cases (24 of them) were reported to have affected citizens from the UK. This has clearly been a cause for concern, particularly as the figure is high among UK citizens. However, people from the UK are more likely than those from anywhere else in Europe to visit Dubai each year. This may account for the disproportionately large number of people in this country who have contracted the illness, compared with low numbers from other European countries. Sweden had the next highest total, with six residents being affected. The government has undertaken a risk assessment so they can provide advice and support to those who may be planning a trip to the United Arab Emirates, and specifically to Dubai. The authorities in the region have confirmed water tests done in commercial accommodation provided in Dubai have come back fine, and indicate no raised levels of legionella bacteria. However, it is not yet known whether sampling or investigations have taken place in other locations likely to be visited by tourists. 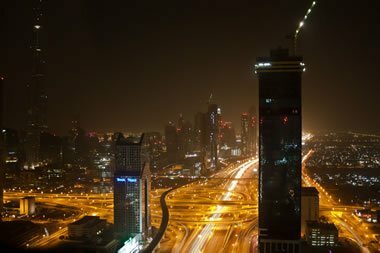 Is it now safe to visit Dubai? The government believes the risk of visiting the region is low, based on all details gleaned from the cases and the information given by the UAE authorities. The risk of Legionnaires’ disease is always more prevalent among the elderly, and among those who already have a suppressed immune system or ongoing condition. They also recommend that anyone who comes back from Dubai and exhibits symptoms that could potentially indicate Legionnaires’ disease is present, should be tested. Will Legionnaires’ disease continue to be a problem? It is likely the situation will continue to be monitored, but for the meantime, the government confirms it is unlikely to be problematic for many people visiting Dubai each year. While this number of cases does give rise for concerns among the visiting public, it is still a small proportion of the many who do go. Additionally, while some of those who have fallen ill have visited other Emirates within the United Arab Emirates, Dubai was the only location they all had in common. The government will stay apprised of the situation and provide further recommendations and updates as and when they become available. At present, there is no need to adjust travel plans.